"None of my personal life is on my social media, but people think they have more access than they actually do, and they jump to a conclusion." It’s as true today as it was in 2010 when MTV’s The City (season two, episode eight: Work Horses and Show Ponies) postulated that those working in the fashion industry can be divided into two titular camps: work horses and show ponies. From a glance (at her Instagram), you might assume that Margaret Zhang also shares the show pony tendencies of her contemporaries, but you would be grievously mistaken at best. 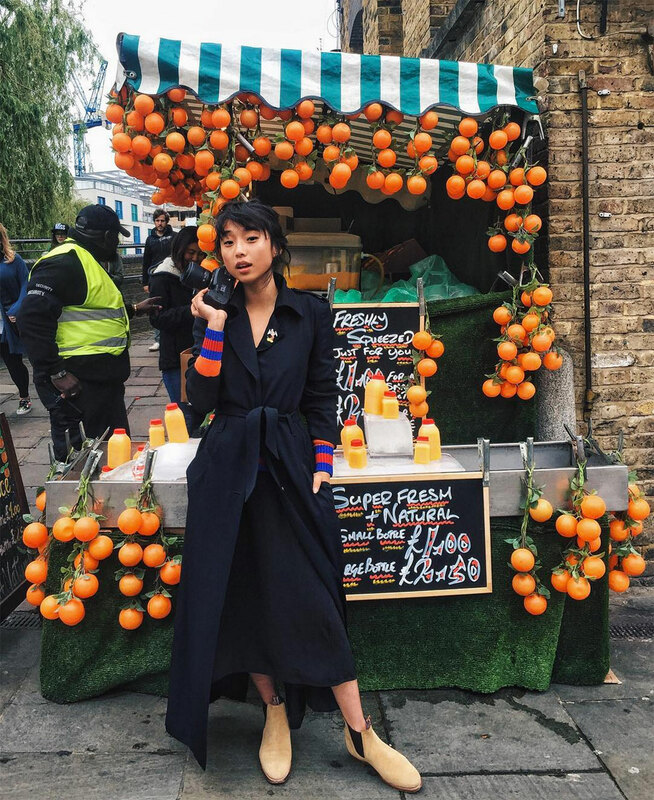 Even then, Margaret Zhang defies easy categorisation as a workhorse. Instead, she’s something more like a one-woman cavalry, capable of fitting into a working week a schedule that might otherwise play out over a series of months for some. Hers is a CV that’s well documented: “Consultant, photographer, writer, stylist,” is how she concisely describes herself in a bio that, were it written at-length, would surely exceed the character limits imposed by the social media platforms where a captive audience obsesses over every location shot, outtake and table setting artfully laden to within an inch of its life in what’s becoming Zhang’s signature blend of maximal minimalism, steeped in filters and a healthy dose of fantasy. 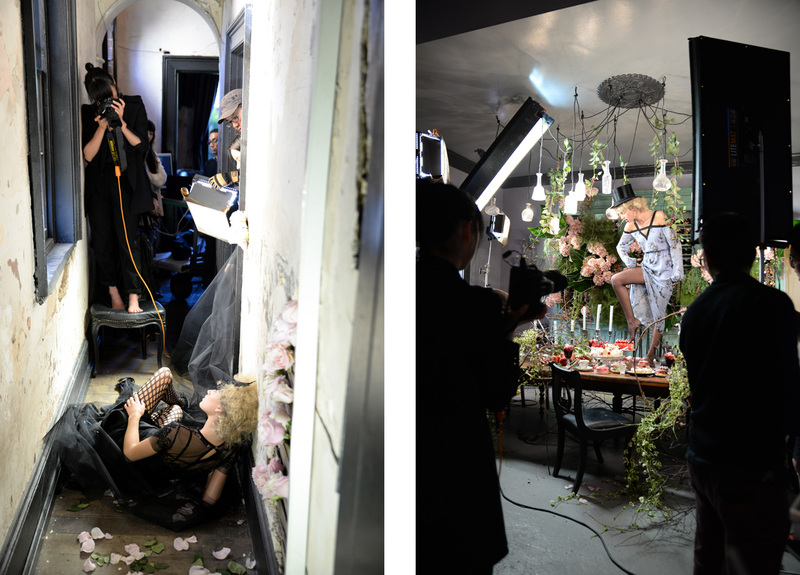 It’s that particular skillset – a keen eye and a sense of whimsy – both behind and in front of the camera that Zhang has employed in two of her most recent projects, both bookending either end of the vast fashion spectrum. 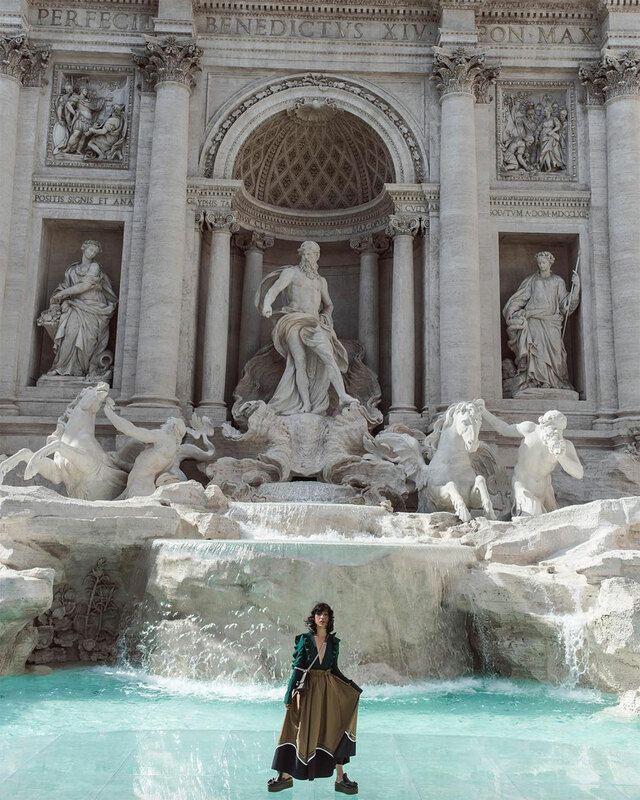 On one end, Zhang collaborated most recently on a shoot with Fendi ahead of their 90th anniversary haute fourrure Trevi Fountain extravaganza; on the other, she shot an Alice in Wonderland-themed campaign for Disney’s collaboration with high street retailer Seduce. Despite their ostensible differences, Zhang says she approaches each project she undertakes with the same tact. “In a commercial context, you have to have a context with both clients as to what they’re really hoping to achieve. Obviously Alice in Wonderland was kind of a [critical] element that needs to be conveyed in this instance, but we didn’t want it to be too literal, inaccessible [or] too cheesy. Storytelling, visually and otherwise, is Zhang’s strong suit be it through the painstaking arrangement of the elements in frame (“It wasn’t about just sticking a pile of books on the floor. Like, I spent half an hour setting up the books to make it look like there was a [staircase] going towards her”) or through rabidly devouring diverse cultural narratives on a range of topics from classical literature and composers to the titans of her industry that precede her – Helmut Newton and Miuccia Prada being just two inspirations she mentions in passing. “Whenever I’m in a different city,” Zhang says, “I try to get to at least one gallery in one afternoon, or some kind of exhibition or museum, and just really concentrate.” It was no coincidence then that the Prada Fondazione was next on Zhang’s hit list during her brief stopover in Milan, having attended the brand’s Spring 2017 menswear show the day prior. It too “told a story”, albeit one far removed from the works of Lewis Carroll. But as with anything new and conceptual, there’s always room for misinterpretation, or misconceptions. Asked what she considers to be the greatest misconception she faces as an individual charting a new course in her industry, the soft-spoken Zhang’s passion for the career she has crafted really comes to the fore. “The greatest misconception of me definitely is kind of – it’s a double dose thing. I guess on the one hand, [people think] ‘Margaret has an Instagram following, therefore she gets paid to breath and just travels the world without having a brain, with no education, and just takes pretty pictures of herself in clothes’. I do a lot of consulting, photography, styling and freelance writing behind-the-scenes that I don’t think people necessarily need to know about, most of that [being under nondisclosure agreements]. The latter is a fact I can personally attest to. Earlier this year, when the Business of Fashion – an industry authority who have twice listed Zhang amongst the 500 most influential people in their index of global fashion industry – hosted a series of panel discussions moderated by founder Imran Amed and chief critic Tim Blanks earlier this year, Zhang was the first and perhaps the most articulate of her local industry peers to step forward with a question, breaking the lengthy silence that initially fills a room whenever the Q&A portion of a talk inevitably rolls around. You simply can’t argue that she’s a helpless bystander or a noncompliant party to her own success. Five years after her first paying photography job and seven years since the launch of her initial ventures in online self-publishing, Zhang’s future in an industry grappling with the transition into digital having for so long “dictated the corporate space with bureaucracy” is certain and yet unclear. However, when asked as to what she’d like her legacy to be, she remains equally as certain of one thing. Despite their (blissful) ignorance of their daughter’s chosen industry, Zhang’s parents – both Chinese immigrants – have played a far greater role in her career than they perhaps realise, even if they don’t fully understand what exactly it is that her day job entails.